This rare and amazing hoppered gold nugget crystal is from Zapata, just outside of Ikabaru, near Santa Elena de Uairen, Venezuela. It is not often that you see hoppered gold nuggets for sale as they are extremely rare and hard to find. 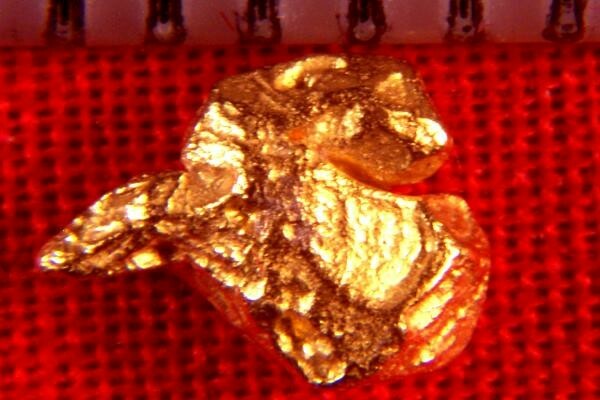 I have the largest selection of rare gold nuggets that you will find anywhere. 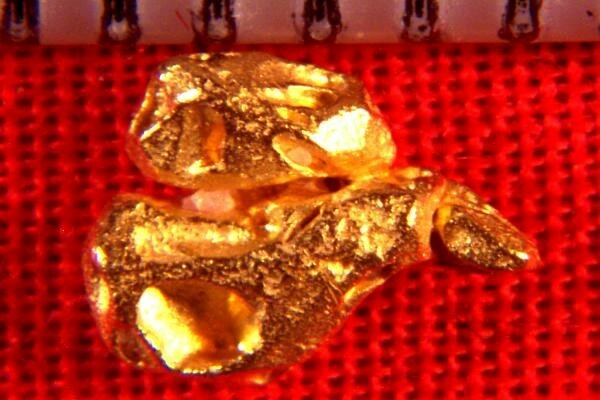 This amazing gold specimen is 1/4" (7 mm) long and the weight is 9.0 Grains (0.58 Gram). This beautiful gold specimen would look great in your collection.